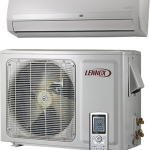 Ottawa’s hot, humid summers makes central air conditioning an essential part of your home comfort system. Stay cool with Top Hat Home Comfort Services – we sell, install, and service air conditioners and ductless heat pump / air conditioning systems to optimize the comfort in your home all summer, and all year long. Top Hat provides servicing for all makes, models and types of air conditioners, in the Ottawa Carleton area. When you need to repair a central air conditioner, you can rely on Top Hat’s speedy service to keep you comfortable throughout the day and during those hot humid nights. Our team of professional service and repair technicians can perform routine maintenance and servicing to keep your air conditioning system operating as efficiently as possible. We also offer emergency air conditioning repair and replacement, as needed. We’re on call 24 hours a day, 7 days a week. When you need to buy a new central air conditioner, call or visit one of our locations in Ottawa & Carleton place. Top Hat carries a broad selection from top manufacturers like Lennox, Amana, and Aire-Flo – as well as ductless mini-split air conditioners & heat pumps, which offer a customized air conditioning and heating solution for homes with no duct work – We are sure to have a product to meet your air conditioning needs, so why not call today for your free, no obligation assessment and quote!